guides, stats, and ways to counter strengths and expose the weaknesses! AoV Chaugnar, Herald of the Void, corrupted by the energy of Chaos which turned him into the Elephant – Bat – Man. Leveling Priority for AoV Chaugnar: Energy Surge is prime harass ability. Chaugnar Play sample: Remember, Chaugnar is not valued because he can kill someone fast, but in first place amount of safety and secondly the reach of his first ability. Do not fall in trap engaging in melee, unless you have to, remember Chaugnar has no sustain. Instead, stay at max range and use the first skill for both clearing the waves and harassing the enemy. If they engage you, use the ultimate and retreat. Use his second skill when an enemy enters melee range, but don't move forward just to be able to reach him with it. Later on in-game, it is all about that ultimate usage. Use it to make your team engage (or disengage if you are on defense) clear cut and help everyone reposition. Every time Chaugnar uses Energy Surge, he calls upon chaos energy to remove all control effects, reduce damage taken by 10%, and increase movement speed by 20% for 2 seconds. This ability is what gives you extra tankiness and mobility during team fights. Chaugnar unleashes a wave of energy, dealing 375/450/525/600/675/750 (+65% of AP) magic damage to enemies along the path and slowing their movement speed by 50% for 2 seconds. -The range is 1050 units. Chaugnar trembles and deals 275/325/375/425/475/525 (+35% of AP) magic damage to all nearby enemies. Damage increases by 30% with each cast and stacks up to 2 times. Also reduces the cooldown of Energy Surge by 1 second. -The range is 400 units. 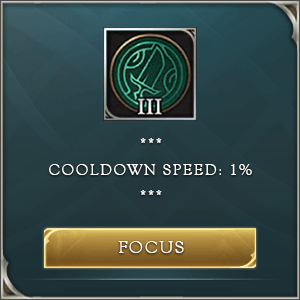 -You can keep track of the empowered ability duration on the buff icon. Chaugnar invokes the energies of chaos to remove all control effects from nearby allies, granting them immunity to further control effects, and reducing the damage they take. This buff lasts 1 second for allies and 3 seconds for himself. 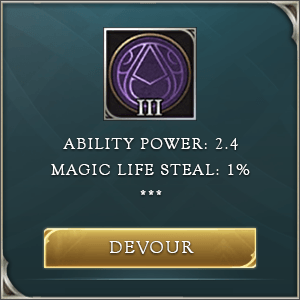 This ability also reduces Shockwave’s cooldown and removes Shockwave’s mana cost for 6 seconds. -The ability range is 900 units. -Cooldown reduction for Shockwave stacks with other forms of CDR, ignoring the 40% CDR cap. This ability is usable while disabled. -Good harassment and survivability. Chaugnar’s first ability is great for harassing the enemy laners, since it has a huge area and is very easy to land. -He is very hard to gank since he has 2 ways of removing enemy crowd control, and it makes laning with him much easier. Chaos protection can help his teammates who are in trouble and save them from deadly situations, as long as it is used optimally to counter the enemy crowd control abilities. -He is generally pretty tanky and super annoying, so if the enemies focus him, that will allow his teammates to have a much easier time in team fights. -No sustain. Even though he is pretty tanky, he doesn't have any sustain or healing ability, and that makes him vulnerable to enemy poke and harassment. One or two missteps can either result in death or being forced out of the lane. -No hard CC abilities. He lacks any form of hard crowd control skills, so that puts him at a disadvantage when compared to some other supports. Heavily reliant on the ultimate for team fights. 120-second cooldown: You and nearby teammates instantly recover 15% HP and gain 15% movement speed for 2 seconds. Prioritize Energy Surge, this is your main poking ability which also removes any CC abilities on yourself. Take ultimate whenever you can. Chaugnar can be played as both solo (DS lane) or in the lane with marksman. Early in the game, poke the enemy heroes with Energy Surge, but do not expose yourself, since you don’t have much sustainability. Whenever possible, take down some of the jungle creeps with your lane partner in order to get level 4 asap. Also, coordinate with your teammates to take down the Abyssal Dragon. Be sure to watch out for the enemy jungler’s position, and beware of ganks. When you are about to attack the enemy, try to stack up two stacks of Shockwave before going in, as it will increase your burst potential by a lot. It will also allow your Energy Surge to be cast more often when chasing the enemy down. A general rule is: Get two stacks of shockwave, and then slow the enemy down with Energy Surge, run in, cast Shockwave as much as possible and do a follow-up Energy Surge as soon as it resets. As for the ultimate, use it to remove the CC effects from either yourself or your teammate. However, keep in mind that you can remove the CC effect from yourself with Energy Surge, so don’t waste the ultimate to free yourself unless you are 100% sure that your teammate won’t be needing it. In the later stages of the game, your role is to slow down enemies and to cleanse your squishy teammates. Keep an eye out for those that might dive your carries and time your ultimate well to remove any crowd control effects from them. Also, use the energy surge to slow enemy assassins down, and make it as hard as possible for them to dive your back line. Try positioning yourself in such a manner that your body is protecting your back line from any dangerous sskill shots That way you will make it much harder for enemies to take down your carries.